I’m excited (and a bit jittery) to say that my Etsy lingerie shop is finally open. I’ve been setting it up for a few weeks and still have *so many things* I want to add to it, but it’s a start that I feel proud of. Also excited to say I’m testing sizing and writing up directions for a sewing pattern I hope to release soon. The crafter life goals of sewing for others and pattern drafting do work well together. Tangled Up in Blue bralette. Rapture bralette and ruched back underwear. Heart of Glass bralette and underwear. Just Like Honey bralette, garter belt, and underwear. Nothing But Flowers bralette and underwear. Going to California bralette and ruched back underwear. And now I’m off to bed to listen to the rain. Mmm, gothic novel spring weather. These days I’ve been working on my digitization skills. I am a rabid collector of pattern booklets (among entirely too many other things). 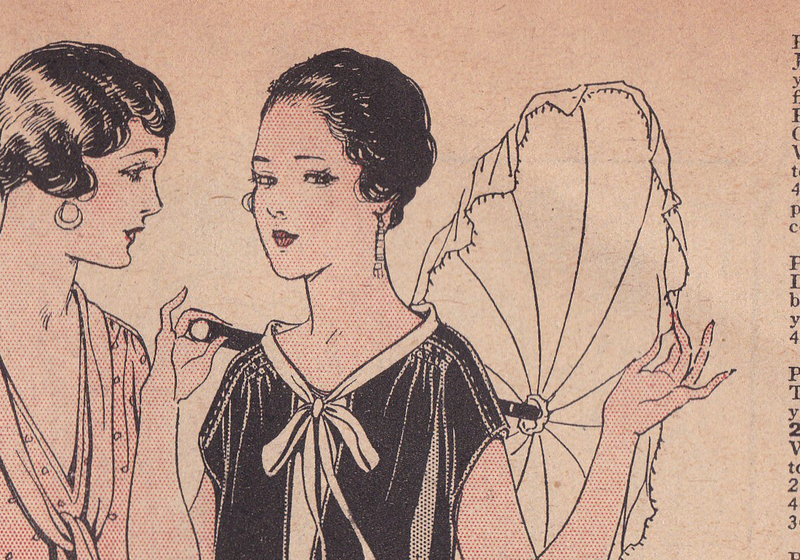 They are filled with gorgeous illustration and a wealth of inspiration–I love the unique details and trimmings of the 20s, the fluttery chiffons of the 30s. 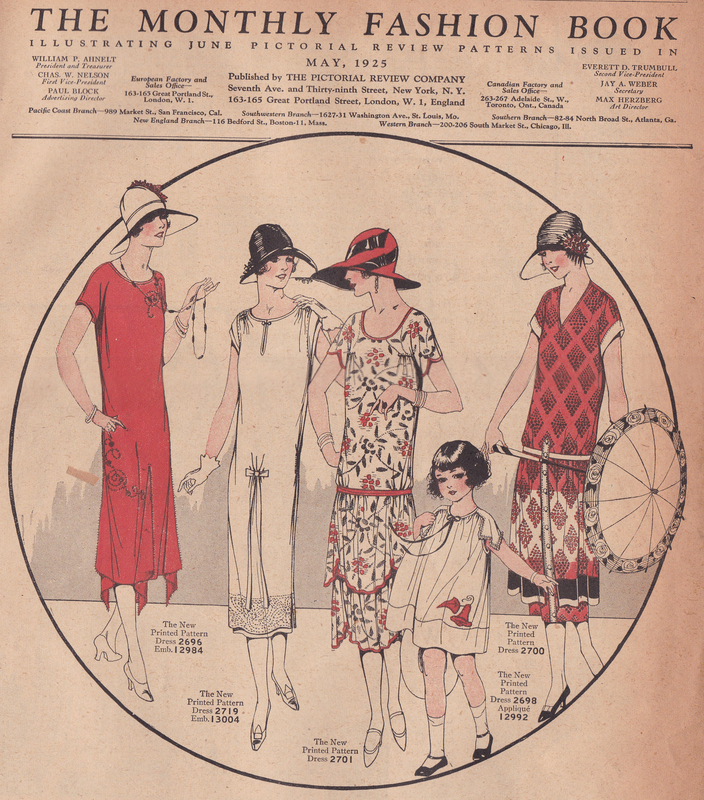 I thought I’d share some images from my May 1924 Pictorial Monthly Fashion Book, which I’ll be making into a pdf and putting on Etsy, if only for other completist/hoarders/rabid OCD fueled types who might want the reference material. Etsy shops with vintage sewing materials are an interesting phenomenon; I’ve been sort of studying them. Reproduction patterns are a wonderful thing, but I can’t help feeling a bit irked when people charge $12 for a photocopy or scan of a *single* draft-it-yourself Ecoupe Clair pattern. I’m glad there are people who hoard these things and make them available, but my recent purchase of a 20s lingerie “booklet” was just photocopied instructions from a Woman’s Institute magazine, uncredited except as “original source material from 1928.” Not gonna name the particular person because I actually sort of like her, have bought vintage original booklets from her, and I know she’s just making a living and making rare materials available again–but something about it seems off to me somehow. The Amy Barickman books “Vintage Notions” and “Magic Patterns” are similar–just repackaging of Inspiration magazine from the Woman’s Institute and representing the patterns within it in a modern graphic design packaging. It bothers me somehow that someone would claim authorship in such a way of someone else’s incredible work. But at least Amy Barickman did digitize the patterns into a pdf and write her own instructions. I don’t know. 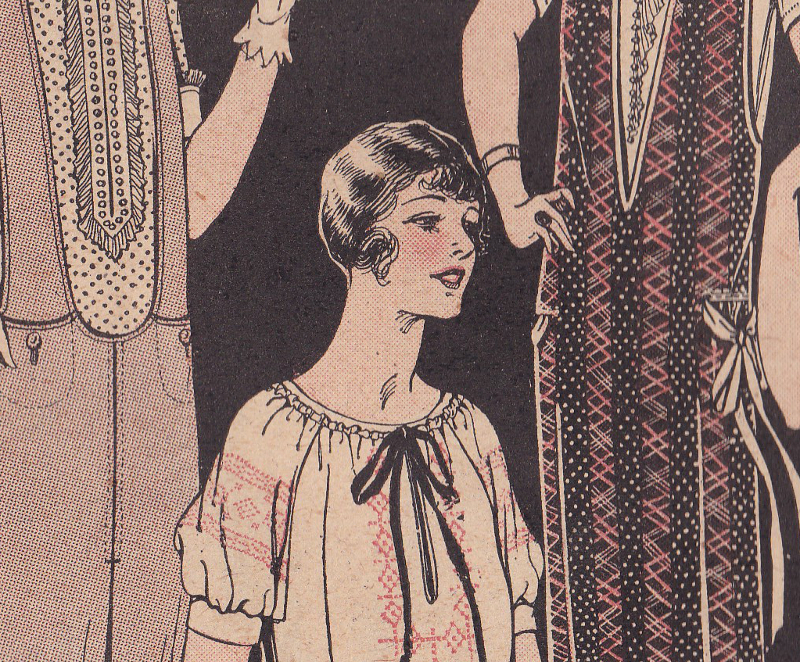 When I start offering my own patterns drawn from vintage sources, I intend to be a bit more…forthcoming? less price inflated? about my work as a “pattern designer.” There’s a difference between being a pattern designer and a seamstress/collector with a scanner, in my mind. Is that snarky? Probably snarky. But also true.